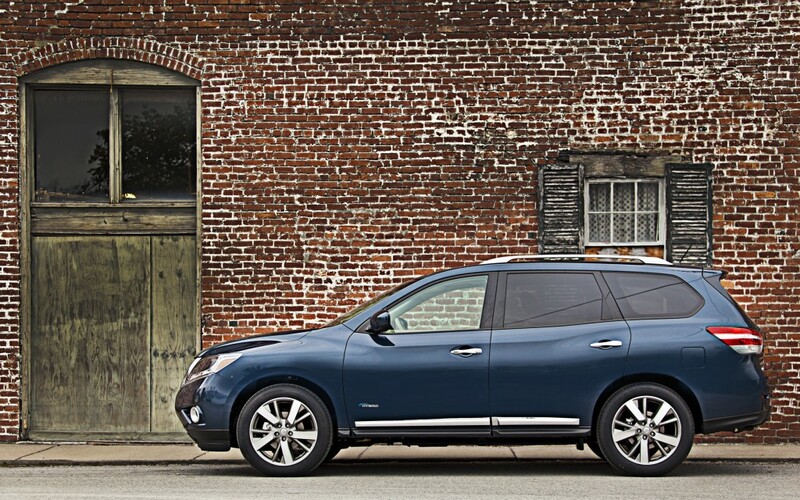 With the introduction of an all-new fourth-generation Pathfinder for the 2013 model year, Nissan’s legendary adventure-ready Next Gen SUV took a major step forward in refinement, enhanced fuel economy, cutting-edge technology and family utility. Now, for the 2014 model year, the evolution of the Pathfinder continues with the introduction of a new affordable hybrid powertrain system designed to enhance fuel economy and reduce CO2 emissions with no reduction of driving performance, passenger roominess or cargo capacity. Nissan continues to bring innovation and excitement to its new cars through the latest technology and design elements. That holds true with the 2014 lineup that features significant enhancements and all-new designs. This week, we’ll take a look at the cars in the Nissan lineup. Check back next week for crossovers, SUVs and trucks. For new Nissan cars, the Altima coupe has been discontinued. However, the Altima sedan returns with an all-new design. A new Technology Package that includes navigation, smartphone apps, blind spot warning, lane departure warning, and moving object detection will be available as will a new Sport Value Package that comes with 16-inch aluminum-alloy wheels, spoiler, and remote engine start. The 2014 Nissan Altima will be available in seven models and on dealership lots starting in early August 2013. The 2014 cube returns with little changes. It will be offered in two grades and beginning in November 2013. Also returning relatively unchanged is the Nissan LEAF. It adds a RearView Monitor on all trim levels and an updated EV-IT functionality with SMS readout and voice destination entry. The 2014 LEAF will be offered in three models and available in December 2013. The Nissan Maxima returns with a good amount of enhancements including a new S Value Package, standard RearView Monitor, USB connectivity and 7-inch color monitor on the SV grade, and two new exterior colors. The 2014 Maxima will be offered in two models and available in late August 2013. The 2014 Sentra will be the same as the 2012 model but with some minor upgrades. These include revised CTV transmission tuning and steering and suspension tuning, a sliding front armrest on the SL model, new front seat lower cushion storage pockets, addition of an Auto Hazard Warning Signal, and updated NissanConnect with Navigation system. The new Nissan Sentra will be available in late November 2013 and in seven trim levels. Finally is the 2014 Nissan Versa, which adds plenty of enhancements. The sedan model adds standard 16-inch aluminum-alloy wheels, 4.3-inch LCD and SiriumXM Satellite Radio on SL models, a tachometer and low rolling resistance tires on S models, and improved seat comfort on SV and SL models. Standard additions across the lineup include revised interior finishers and changed suspension and steering tuning. The Versa lineup now includes an all-new hatchback model called the Nissan Versa Note. Follow the link to read more.